The partnerships between the energy industry and the parish run deep and wide. In fact, 65 percent of the parish’s footprint is owned by energy companies (both land and water). Ask anyone in the bayou region what drives our economy, and they will tell you without hesitation the oil and gas industry. This industry is absolutely part of the fabric of our lives. We fish around the oil rigs’ massive platforms. We work in and out of the energy companies’ offices. We accept donations for our children’s recreational sports from the industry’s charitable giving programs. We live, work and play in the region that the energy industry has helped us call home. One in seven jobs are directly or indirectly related to the energy industry in the bayou region. Posted on April 2, 2019 by Christopher J. Gary and filed under Louisiana, Oil and Gas and tagged louisiana Oil and Gas. 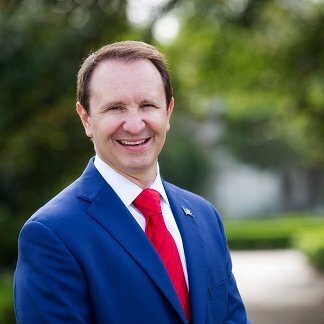 In his continuous quest to make changes to the unconstitutional mandate known as the Affordable Care Act, more commonly ObamaCare, Attorney General Jeff Landry has proposed a bill in the upcoming Louisiana legislative session that protects pre-existing medical conditions. Of course, “Honor Code” John Bel Edwards wasted no time to rush to a reelection stance and criticize Landry for working to do away with ObamaCare and protect these most vulnerable citizens in the state. “It’s disappointing that the governor would criticize us for trying to protect people with pre-existing conditions. The fact of the matter is that we’re here because the law is unconstitutional. The problem is that people who make the same argument that the governor has, would rather our country be based upon unconstitutional and illegal acts in order for us to move our government forward,” said Landry. Posted on April 2, 2019 by Christopher J. Gary and filed under Jeff Landry, John Bel Edwards, Louisiana and tagged jeff landry John Bel Edwards ObamaCare louisiana. The proposal primarily affects the 644,000 Louisiana residents -- and 45 million people across the country -- enrolled in Medicare’s Part D drug benefit. Part D plans are federally subsidized but administered by private insurers who compete to sell their plans to the public. These insurers work with middlemen known as pharmacy benefit managers to design plans and determine premiums, co-pays and co-insurance -- the percentage of a drug’s price that Medicare enrollees must pay out of pocket. PBMs decide which drugs to include in each Part D plan. They leverage their decision-making power to demand big discounts from pharmaceutical companies. Posted on April 1, 2019 by Christopher J. Gary and filed under Louisiana, Drugs, Steve Scalise and tagged Louisiana Steve Scalise Drugs. I’m working to lower the cost of prescription drugs. It’s an embarrassment when the average American pays twice what someone in Canada or Great Britain or Switzerland pays for the same identical drug by the same identical manufacturer. Posted on April 1, 2019 by Christopher J. Gary and filed under Drugs, Louisiana, John Kennedy and tagged John Kennedy Drugs Louisiana. BATON ROUGE, LA (March 29, 2019) — The Louisiana Oil and Gas Association (LOGA) and the Louisiana Mid-Continent Oil and Gas Association (LMOGA) issued the following statements in response to the City of New Orleans filling a Coastal Management Zone lawsuit against a multitude of oil and gas companies. Posted on March 30, 2019 by Christopher J. Gary and filed under Louisiana, Oil and Gas and tagged lawyers Oil and Gas Louisiana. 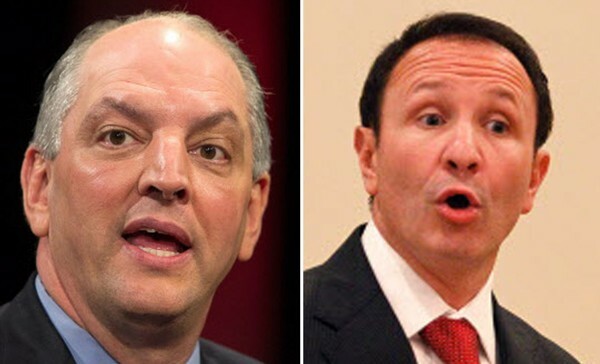 In what is an opening salvo in the war for the Governor’s Seat in Louisiana, both Republican candidates sounded off on “Honor Code” John Bel Edwards’ relationship to the business community in the State of Louisiana. Louisiana’s Republican candidates for governor talked Thursday of creating tighter and friendlier state government relationships with business, suggesting Democratic incumbent Gov. John Bel Edwards’ spending and tax policies have stifled job creation. U.S. Rep. Ralph Abraham and businessman Eddie Rispone spoke at an event hosted by the Pelican Institute for Public Policy, a conservative think tank, a luncheon that gave some attendees their first viewing of the men in campaign mode. “The governor has unilaterally and, according to some critics, unlawfully sought to hire some of the state’s wealthiest plaintiffs’ lawyers to run the energy industry-targeting litigation,” the American Tort Reform Foundation’s “Judicial Hellholes” report noted. Hopefully the sheep that were led to believe the “moderate Democrat” crap that was spewed by “Honor Code” in 2015 will come to their senses and support a conservative candidate for Governor. We cannot survive another 4 years of this kind of leadership. Posted on March 29, 2019 by Christopher J. Gary and filed under Louisiana, John Bel Edwards, Ralph Abraham and tagged John Bel Edwards louisiana Ralph Abraham. (Baton Rouge, LA): The Republican Party of Louisiana is calling on Governor John Bel Edwards to answer for the delay in releasing public records regarding his scandal-plagued “business summit” in February. The business summit appeared to be little more than a taxpayer-funded campaign event stacked with Edwards contributors and supporters. The LAGOPsubmitteda public records request on February 18, 2019 for any and all correspondence related to Democrat Governor John Bel Edwards’ Louisiana Statewide Business Summit to discern whether the governor was in fact holding a taxpayer-funded campaign event to bolster his re-election efforts. The request was made following media coverageindicatingthat numerous speakers at the event were campaign contributors or employees of Edwards. A copy of the request can be foundhere. 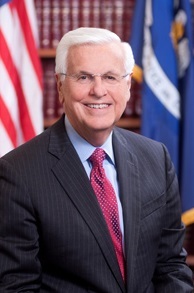 The records were due to be delivered on March 18, 2019, but the LAGOP received email correspondence from Governor Edwards’ office on the due date stating “It is now estimated that all non-exempt records will be made available to you on or before April 22, 2019” – a delay of more than 30 additional days, and more than 60 days beyond the original request date. A query regarding the reason for the delay went unanswered as of 9:00am this morning. The LAGOPsubmitted an additional public records request on February 25, 2019, for any and all correspondence related to closed-door meetings reportedly hosted by Governor Edwards with business leaders. 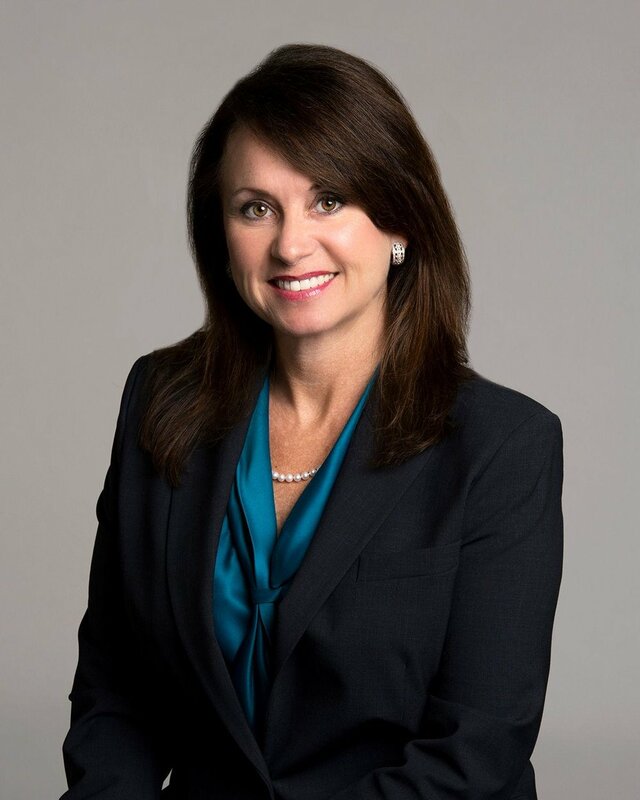 Under scrutiny from the media for the business summit, Edwards’ spokesperson Christina Stephens told The Associated Press that the governor has been hosting “closed-door meetings with business leaders since 2017.” The Governor’s office has not yet responded to this request, a copy of which can be foundhere. Posted on March 27, 2019 by Christopher J. Gary and filed under John Bel Edwards, Louisiana, LAGOP and tagged John Bel Edwards LAGOP. Recent developments in Terrebonne Parish should be alarming to all Louisiana citizens – especially those along the bayou whose local rights are being overstepped by overzealous trial attorneys and state government overreach. A dangerous precedent is being set with the Louisiana Department of Natural Resources’ recent appointment of the parish district attorney to conduct damage assessments alleged from oil and gas development in the parish. This is clearly an effort to bypass local elected leadership in outsourcing enforcement responsibility of state and local permits to private lawyers – the same lawyers who stand to benefit financially from their findings. Motivated by self-interest, these hired guns have no regard for the potential impact of lawsuits on thousands of area residents who depend on industry for their livelihoods. Louisiana Lawsuit Abuse Watch opposes coastal lawsuits because they attempt to stretch the law beyond its intent while ignoring critical facts and involving private lawyers in a space meant for democratically elected decision makers. Targeting the deep pockets of the energy industry does not guarantee that any resulting monetary awards will actually be used for restoration activities. In this instance, LDNR is putting the cart before the horse by charging the district attorney to develop these models before the department has even identified permit violations – much less investigated any alleged abuses. With such complex issues, a mere comparison of aerial photographs as the basis to determine damages will not provide a complete or accurate picture. Instead of signing on to pursue lawsuits, Terrebonne has already begun to review coastal use permits in the parish. 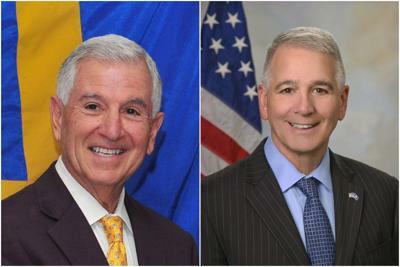 Parish President Gordon Dove and Lafourche Parish President Jimmy Cantrelle have made it abundantly clear they are not interested in pursuing litigation that singles out an industry that is a major job and revenue creator. There is a proper role for good regulations that protect the public and for lawsuits that enforce them. But our system of checks and balances breaks down when lawsuits are substituted for policy. It is past time to work together toward constructive solutions - and leave the trial lawyers out of it. Posted on March 25, 2019 by Christopher J. Gary and filed under Louisiana, Oil and Gas and tagged Louisiana Lawsuit Abuse Watch Oil and Gas. It’s so refreshing to have a grownup in the room when it comes to leadership in the State of Louisiana. The latest is AG Jeff Landry’s opinion issued regarding Gov. John Bel Edwards’ proposed budget. Landry’s office said the constitution requires the governor to recommend a budget in line with the forecast. “The constitution requires that the governor submit a budget containing revenues ‘which shall not exceed the official forecast of the Revenue Estimating Conference.’ The governor clearly violated this provision,” the opinion released by the attorney general says. Posted on March 22, 2019 by Christopher J. Gary and filed under Jeff Landry, John Bel Edwards, Louisiana and tagged John Bel Edwards Jeff Landry Louisiana. Congressman Clay Higgins, along with the Louisiana Attorney General Jeff Landry’s office, is hosting a workshop on Monday, March 25th, to assist vets with benefits. As a veteran, you are entitled to multiple benefits. Workers from the Louisiana Attorney General's Office, the Louisiana Workforce Commission and the U.S. Department of Veterans Affairs along with staff from Congressman Higgins' office will be there to help. Posted on March 20, 2019 by Christopher J. Gary and filed under Veterans, Louisiana, Jeff Landry, Clay Higgins and tagged veterans louisiana Clay Higgins jeff landry. As a mother of four, a former special counsel for Indian Affairs in the Governor’s Office, and now Louisiana’s solicitor general — I was surprised to see Louisiana Department of Children and Family Services Secretary Marketa Walters mischaracterizing a lawsuit Louisiana joined to protect Louisiana children. Posted on March 18, 2019 by Christopher J. Gary and filed under Jeff Landry, Louisiana and tagged Jeff Landry Louisiana.